Transferring media files like videos, images, music is very difficult for iOS devices. iPhones and iPads do not have external memory card slots. So basically iTunes was the only way out. But you don’t need to worry anymore. 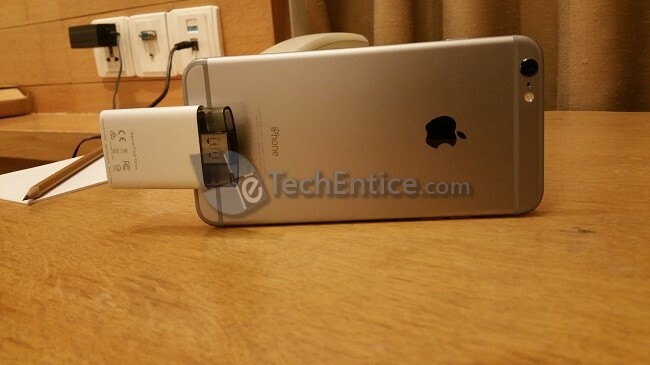 There are plenty of new methods to add external storage devices. 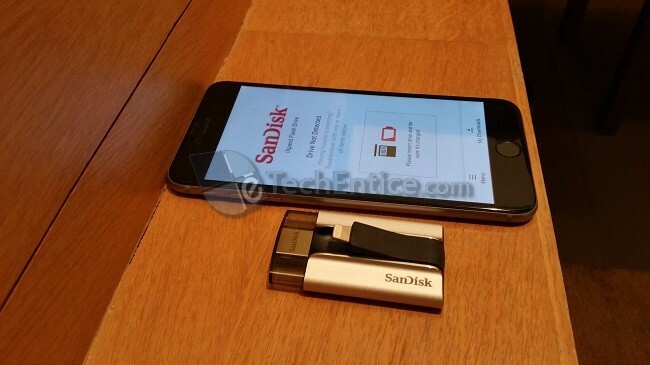 One such device is SanDisk iXpand Flash Drive. This Flash Drive has dual connector, one is a USB Port connector (USB 2.0) and the other one is a lightening port connector. This means, you can connect the iXpand to you laptop or computer, take data from it and then connect it to your iOS device using the lightning connector. You can directly watch videos, read files and listen to music or share those files without any lag and without moving/coping the files to your iOS device at all. Once you will connect your iXpand with your iOS device it will install “iXpand Sync” app from the App store. This Application is the software interface between iXpand and your iOS device. The application GUI is very handy and easy to use. When the iXpand device is connected to your iPhone/iPad you can also check remaining battery life of the device, available space in the device and as well available space in your iPhone / iPad using this “iXpand Sync” app. Besides easy file transfer between your computer and iOS devices the iXpand will solve a big portion of the storage issues with iPad and iPhone. If you are using 16 GB model of iPhone 6 or iPhone 6 Plus, iXpand should be at the top of you accessory list that you would like to buy. “iXpand Sync” app has its own Media Player, which can play almost any video formats. So at the same time you will able to play most of the video formats (.mkv,.mp4.,m4v etc) on your iOS devices, directly from this iXpand without any need of converting the videos. This device can also function as a backup storage device where you can sync you contacts and Photos. There is a provision to turn on Auto Sync, which will enable automatic sync of your iPad / iPhone photos from camera roll and contacts whenever you connect the iXpand to your iPhone or iPad. It’s a good alternate to backup your Camera roll if you don’t like to store them in iCloud or any other third party cloud storage. iXpand is available in 16 GB, 32 GB, 64 GB and 128 GB. The 16 GB variant is priced at $60 USD, whereas the 32 GB costs $80 USD, the 64 GB costs around $100 USD and $150 for the 128 GB model. 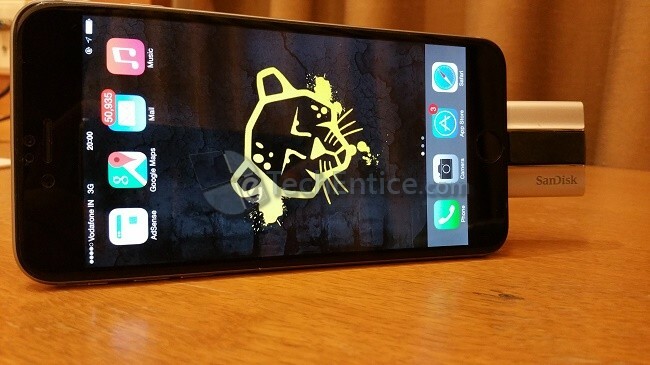 We have reviewed here the 32 GB device. 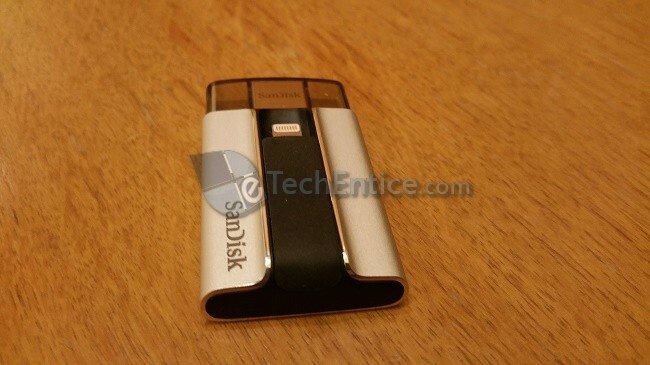 The SanDisk iXpand Flash Drive is a flat rectangular flash drive which measures 2.5 x 1.4 x 0.46 inches (64 x 37 x 12 mm). So the size is convenient and will fit any pocket or bag. The color of the device is a combination of black and silver. One end has the USB connector will the middle portion has the lightening connector. 1. Till now, we have seen only the positive aspects of iXpand, but there is a major drawback of using this device. iXpand reduces the strong security that is provided by Apple, to some extent. The auto sync option is one such feature that makes your iPad vulnerable to threats. If a stranger connects his iXpand flash drive to your iPad, he can easily extract your photos and contacts if the auto sync is turned on. Though you can always Encrypts files across iPhone, iPad, and computers for secure transfer. 2. The format of the iXpand device is FAT32. This also implies files larger than 4 GB will not be supported, which basically refrains you from watching very high definition (some FHD) movies. So that’s pretty bad. 3. While using as a USB drive, the transfer rate is quite low about 12-20 Mbps even though the specs mention to be 60 Mbps. So it’s not a fast device anyhow. SanDisk iXpand has its own share of pros and cons. Even though I will not say it a flawless device but the storage boosting facility definitely gives it a thumbs up. Wow..surely this is an better alternative. 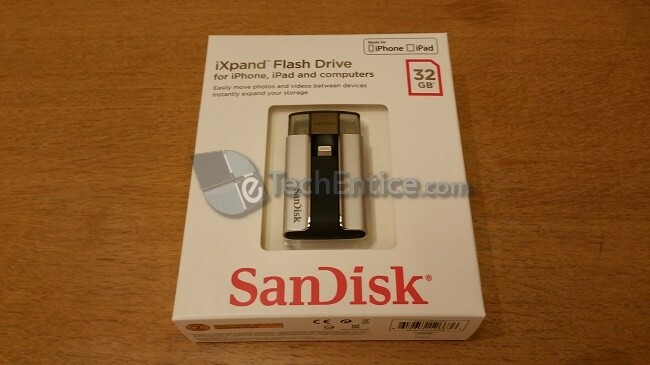 Will look forward to this sandisk iexpand for my ipad. Features are excellent and price range is also decent and affordable. Nice to know about this one. Scandisk is respective and trustworthy brand. This product is very nice and I think it is paid off. The connection design with the device is awesome. I think I will search for this in markets. It is very clear, Scandisk is trustworthy brand. The price is excellent and also its affordable. The desing is nice and easy to use. Good to have this device! That was a very much informative! I was waiting for something like this for my iphone. And since its sandisk i guess I should go for it without having second thoughts. Thanks a lot for the article, it is well written. Good job! I did not know this product. I am very interested and I think the price is not very high. I think I’ll buy one soon! Great device 🙂 I think i will be buying one for my friend soon since he has an iPhone and it’s his birthday, but i think 60$ for 12 gb is little too much.